Outside diameter of jar 40 mm, outside height is 19 mm. 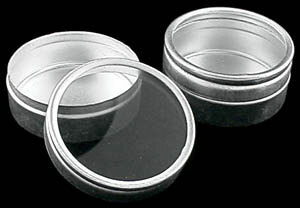 Outside diameter of jar 23 mm, outside height is 19 mm. 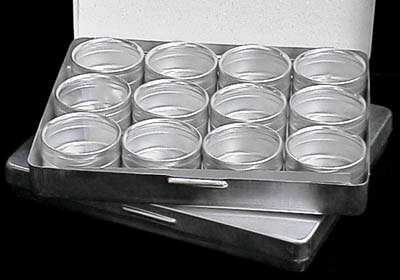 Outside diameter of jar 26 mm, outside height is 19 mm. 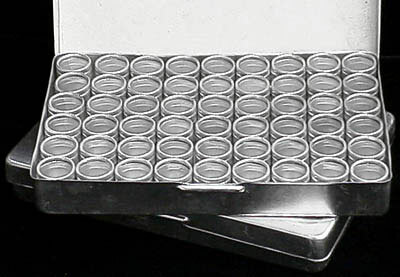 Outside diameter of jar 17.5 mm, outside height is 20 mm. Sold in box of 12. 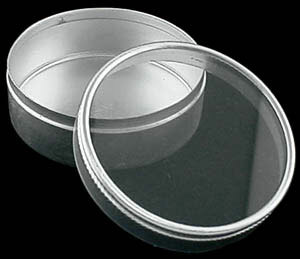 Outside diameter of jar 37 mm, outside height is 19 mm. Sold in box of 24. 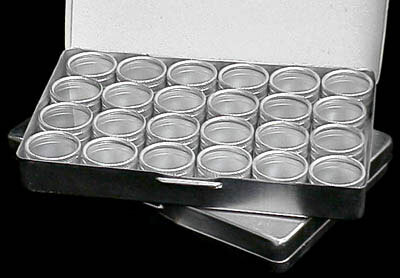 Outside diameter of jar 23 mm, outside height is 20 mm. Sold in box of 12. 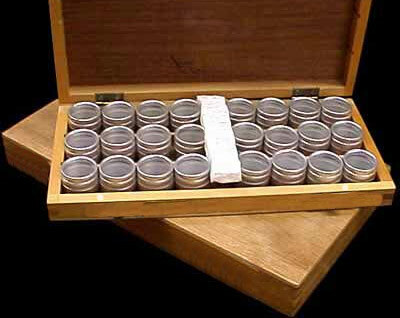 Outside diameter of jar 47 mm, outside height is 22 mm. Outside diameter of jar 38.5 mm, outside height is 16.25 mm. 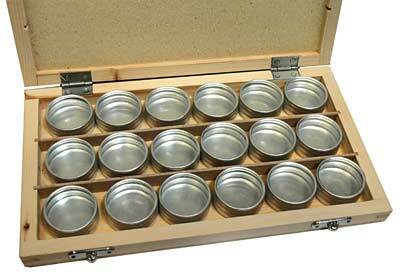 The wooden box measures 10 1/2" in length, 6" in width, and 1 3/8" in height. 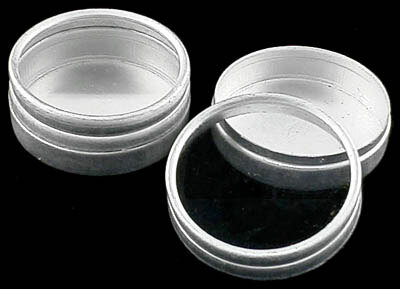 Outside diameter of jar 23 mm, outside height is 19 mm. 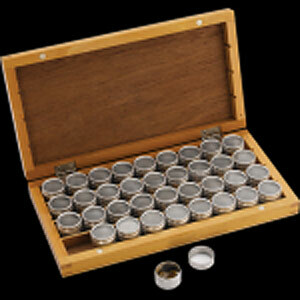 The wooden box measures 8 1/2" in length, 4 1/8" in width, and 1 1/4" in height.